I apologize for not getting this posted yesterday, but I was still working on decorating my own grimoire and wanted to make sure I could show you pictures. I am looking to add a clasp of some sort to "lock" it, but I have figured out what I want to do yet. It is as complete as it can be at this time. I would really, really love to see what you guys have created over the past week. Please share your grimoires in the comment section, on my Facebook page, or on Instagram using #masteringyourgrimoire. Now that you have decorated your grimoire and hopefully connected with it on some level, its time to find a place where you are going to work on it all the time from here on out. This can be a desk, kitchen table, the floor, or within your sacred space. Work wherever you feel most comfortable. Many people believe that you need to work on your grimoire only in sacred space, preferably inside of a magical circle. The reasoning behind this is that while you work on your grimoire, you generate and emit energy. This energy is usually very potent and can attract unwanted guests. I never cast a circle when I perform magic, but that's just me. However, I have set up a protective ward around my house which acts as a permanent magical circle that I redo/improve every couple of months. I believe this is enough protection for me, but I am also not very ritualistic or into high magic. 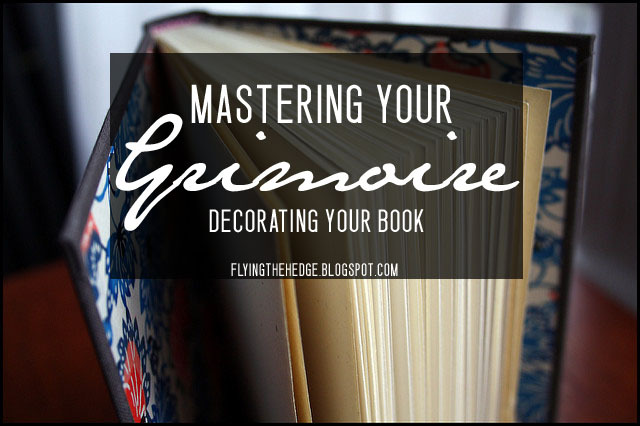 If you are more ritualistic, then you'll want to cast a circle every time you work on your book from here on out and you are going to need a space where you can write, paint, type, or whatever you need to do to complete your grimoire. There are several things you should consider when picking out a space to work on your grimoire. 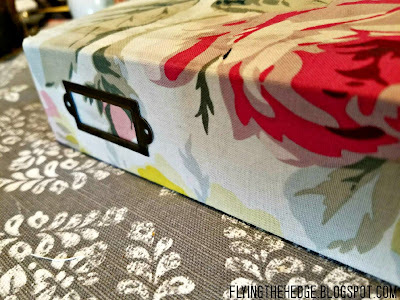 It needs to be an area where you have a surface to work on, an plenty of it if you are getting crafty. It needs to be private so you can work in piece and infuse your book with ONLY your energy. You may also want a space with a window or that is well ventilated if you are working with certain chemicals. Make sure this space can also accommodate not only your craft items, if you are crafting your grimoire, but also incense and candles. Incense and candles help set the mood and help to infuse your book with magical energy. If you are turning this into a ritual, you'll want an alter space as well to place images of your deities and the elements. This week attempt to find the perfect place to work on your grimoire. You may need to try several locations before one feels right. Bring your grimoire and sit in the space and meditate. Mentally record any feelings you have while in that space. If it just doesn't feel right, try another location. You may be surprised where you end up. No matter how much you may want to work on it in your office, your book may tell you your living room is a better space. Listen to it. We are trying to build a book on our craft that we have a deep connection with. You cannot do that if you do not listen. Reflect back on your questions for Mapping Your Magical Path. Use them to help guide you in your decision making. If you need to work outside, do it! Remember, share those grimoire pictures! I would love to see them and I am sure others would appreciate the inspiration as well! I recently purchased my very first tarot deck; scandalous that I didn't own one before, I know. However, when it comes to magical objects, I tend to take my time. I want something I feel connected to. I absolutely love this tarot deck, but I have to be honest, since purchasing it I haven't done much with it. I want to change that now. That starts with cleansing and blessing my tarot deck to prepare it for use. Any object, especially those that change hands often such as those in a store, picks up energy from its surroundings. Sometimes that energy is wonderful, other times not so much. When you first purchase, receive, or find a magical tool, the first thing you should do is cleanse the item, ridding it of any residual energy, and bless it, thus infusing it with your own energy. There are several ways to quickly and easily cleanse a tarot deck, or any magical object for that matter. Sage smoke cleansing: Light up some white desert sage, and wafted the smoke over the object, imagining the item being rid of any energies it may contain. If you want, say a chant while you cleanse such as "Rid this (item name) of bad luck; clear it of all pride and muck. Let the energies be released; fill it now with love and peace." Moon light cleansing: Place the object outside or in a window where it will receive at least 6-12 hours of moon light. The moon is a powerful cleanser, especially for objects associated with the feminine or divination. Salt cleansing: Salt cleansing relies on the grounding properties of the element Earth to cleanse and purify objects. Simply sprinkle the object with salt or draw a salt sing around the object. Allow to sit for about 8 hours. I picked sage smoke cleansing to cleanse my tarot deck. Its quick, easy, and I enjoy the smell of white desert sage. What witch doesn't?! Now to bless the deck! This ritual is best performed during the full or new moon. You will need a quiet place, your tarot deck, a white candle, and some yarrow incense or dried yarrow with a charcoal burner. In your quiet place, light the candle and the incense/charcoal. Hold your deck in your hands and close you eyes. In your mind's eye, picture you deck being filled with bright white and gold light. Hold this image for at least a minute. If you want repeat the following phrase several times: "I bless this deck that I hold near, to enlighten and empower the noble Seer. Bring strength and guidance to those in need; so I will it, so mote it be." Once you have infused your deck with your energy and blessing, pass it through the yarrow smoke. As you do so repeat, "Yarrow with your mighty powers, enhance my decks physic powers." Yarrow increases physic ability, making it the perfect herb to use to enhance your tarot deck. Once you have finished, sit quietly with your deck and meditate over what you hope to accomplish with it. When you feel ready, snuff out the candle and safely put away your tarot deck. 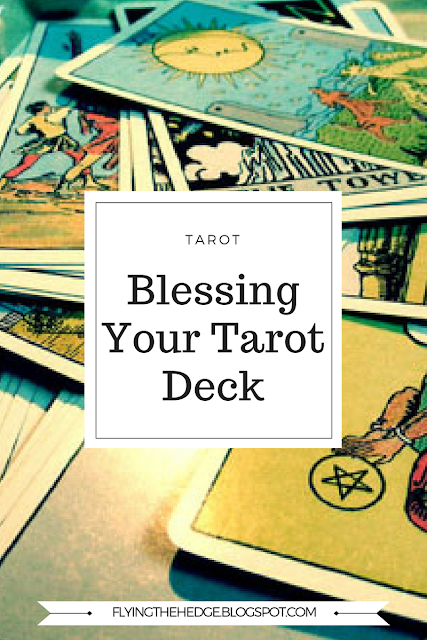 After a cleanse and blessing, your deck should be kept in a protective bag or box out of hands that touch. They will easily pick up energy from others when handled or left out. You will need to cleanse them often, especially after using with another person. And there you have it! Your deck is now cleansed, blessed, and ready to be used. Do you have a tarot deck? If so, how did you cleanse and bless it? Welcome back to Mastering Your Grimoire! Did you decide on a grimoire format? Were you able to make or purchase your book yet? If not, you have a little bit longer until we actually begin assembling the pages. However, I encourage you to quickly decide what format you would like soon. I actually picked out my book a couple of months ago and shared it in another post. I decided to purchase a 600 page sketch book off Amazon. Its large, sturdy, and great for how I want to set up my grimoire. 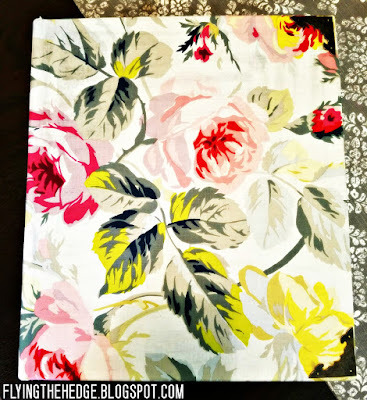 I am very artistic so I wanted something I could color/paint in, and I am a planner so I am not worried about changing pages around once I set down a plan. The paper is too thin for water colors, but I think I may be able to get away with some regular paint. I started with Crayola markers, but I am unhappy with the end result. I plan on "fixing" the pages I have worked on already with a little bit of paint. I am much better with paint than colored pencils or markers. I don't know how people do what they do with markers and colored pencils, but they got nothing on me when it comes to paint! Haha! This week we will spend some time decorating the covers of our grimoires. However, you may want to cleanse your book before you begin. 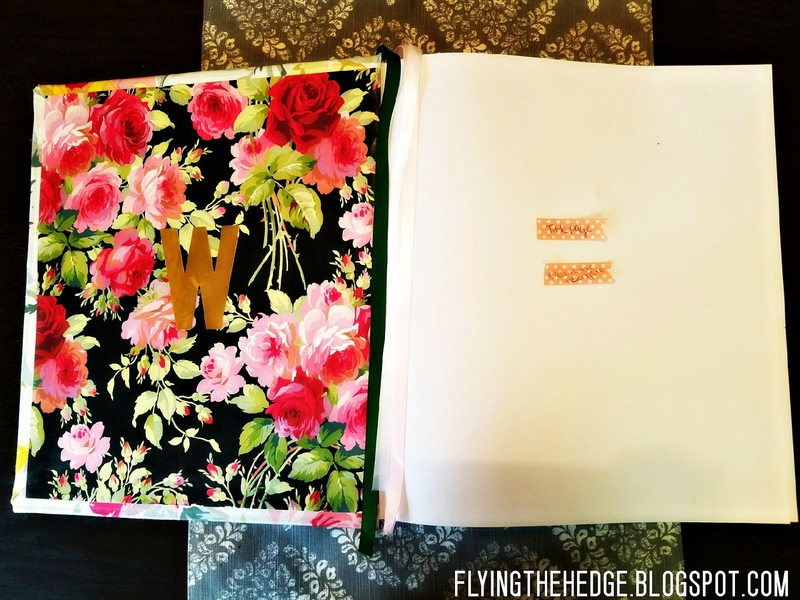 This will allow you to infuse the book with your magic and energy, and only yours. A simple sage smoke cleansing should do the trick! You may want to consider including some protection magic in your cover decorations as well. This can be something that is easily visible, like a pentacle, or something hidden, like a sigil or rune written underneath the decorations. Adding these will increase the magical bond between you and your book, and keep prying eyes away. You can also cast a simple spell if you like. We will be writing book blessings in a couple of weeks, so if you want to skip the spell/ritual work for now, we will make up for it later. Be mindful for the colors you use as well. Colors greatly affect not only our magic, but how we perceive ourselves and our belongs as well. I suggest working with your favorite colors. It is okay for a grimoire to be brightly colored if you favorite color is hot pink or lime green. They don't have to be dark, mysterious, or creepy to contain powerful magic. Read up on the different color meanings in my post Magical Correspondences: Colors. Make your grimoire yours and enjoy the process. There is no right or wrong way to decorate your magical book; simply let your magic and intuition guide you. Need some inspiration? Feel free to browse my Book of Shadows Pinterest board or search Google. Oh! 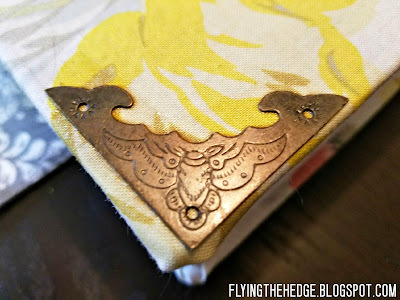 One last thing: you may want to add some ribbon or a couple to serve as bookmarks! I would love to see pictures of the books you picked out or created over the last week. Feel free to comment below or use the hashtag #masteringyourgrimoire on Instagram! Good luck with your decorating this week. 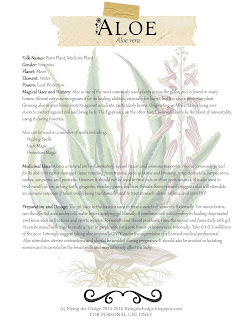 Magical Uses and History: Aloe is one of the most commonly used plants across the globe, and is found in many homes. Almost everyone recognizes it for its healing abilities, especially for burns, but it is also a protective plant. Growing aloe in your home protects against accidents, particularly burns. Originating in Africa, aloe is hung over doors to protect against evil and bring luck. The Egyptians, on the other hand, believed aloe to be the plant of immortality, using it during funerals. Medicinal Uses: Aloe is a natural anti-inflammatory, wound healer, and immune supporter. Aloe is commonly prized for its ability to repair damaged tissue resulting from trauma, such as burns and bruising, acne, dermatitis, herpes sores, rashes, sunburns, and psoriasis. However, it should not be used to treat cuts or other open wounds. It is also used to treat mouth ulcers, aching teeth, gingivitis, receding gums, and sore throats. Some research suggests aloe will stimulate an immune response if taken orally, being traditionally used to treat stomach ulcers, asthma, and even HIV. Preparation and Dosage: The gel/juice in the leaves is used to treat a variety of ailments. Externally- For minor burns, run the affected area under cold water before applying gel liberally. It combines well with comfrey in healing deep-seated problems such as fractures and sports injuries. For mouth and throat problems, rinse the mouth and gums daily with gel. It can be mixed with sage to create a "tea" to gargle with for a sore throat or hoarseness. Internally- Take 0.1-0.3 milliliters of the juice. I strongly suggest taking aloe internally ONLY under the supervision of a licensed medical professional. Aloe stimulates uterine contractions and should be avoided during pregnancy. It should also be avoided in lactating women as it is excreted in the breast milk and may adversely affect the baby. 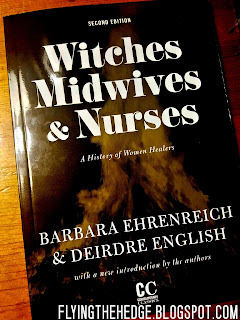 Okay, so Witches, Midwives, and Nurses is not entirely about witches. It is actually a feminist piece written in the 70s promoting women in the field of medicine. The second edition, which I read, includes a wonderful introduction adding some new information and discussing how the book came about. The original version has some mistakes, but it was written based on the evidence they had at the time which was very little. Despite this not being a book particularly on witches, I still feel witches and pagans, especially women, should read this 100-something page pamphlet discussing the rise and fall of women in medicine. The original text is very forward. The original authors even comment on this fact in the second edition introduction, saying that they know it is an angry text aimed at calling women in the medical field to action. As I mentioned some of the historical details are inaccurate in the original text, but they are sure to correct them in the introduction. At the time the book was published, there were very little historical texts recalling early witchcraft and healing arts. Despite its short nature, the book delivers a powerful narrative. Women were traditionally skilled healers, especially in the arts of herbalism, at a time when medical "professionals" were not only mostly men but doing more harm than good when they treated their patients. Wise women and men, who learned their craft through generations of trial and error, knew enough of the human body and plant uses to successfully cure people, especially of the poor, of ailments "professional" doctors could not. It was because of this, in combination with political and religious upheaval, that led to people being accused of witchcraft. While some of these men and women probably did practice witchcraft, most probably did not. This book gives a very brief, but excellent, introduction to the history of early wise women and men and how the arts changed over time. I strongly believe this small book should belong in every witch's library. 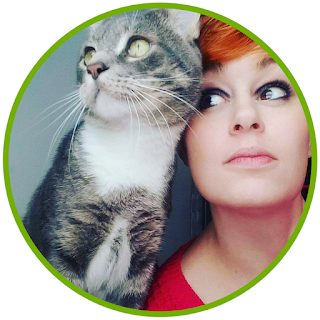 It ignited a passion in me to continue pursuing herbalism, working my magic, and healing the world. Overall I give the book 5 stars, despite the subtle inaccuracies and the very passionate call to arms presented in the original text. I am well on my way to reading 24 books this year. 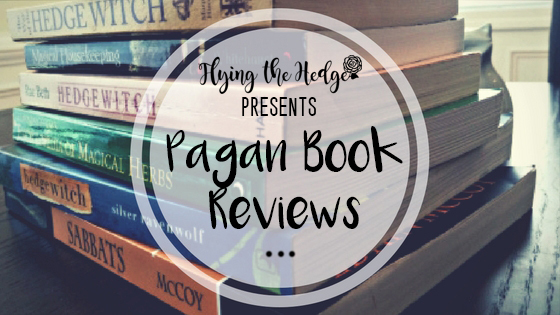 Have you read anything interesting thus far this year?